Comprehensive tailstock support for virtually all spindle turning requirements. 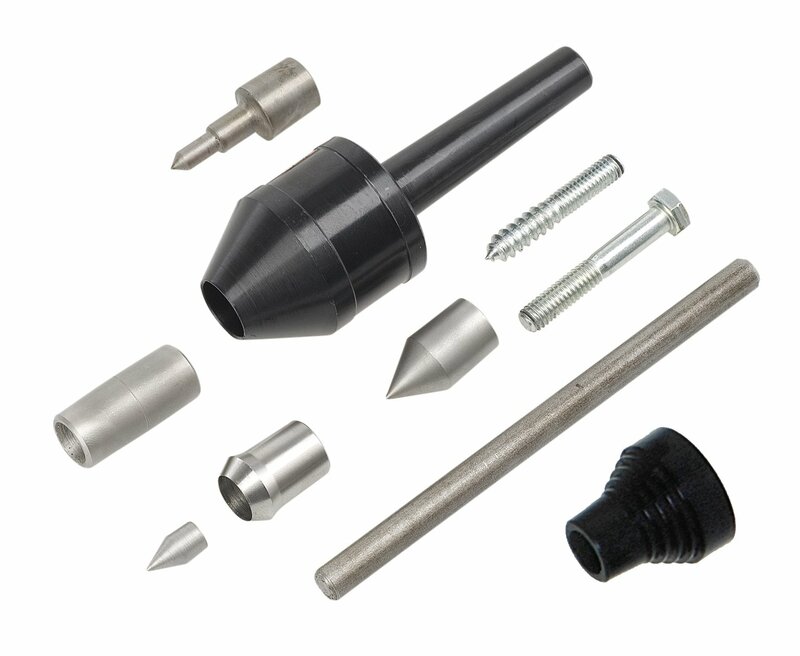 With over 6 handy functions, it includes a hollow body for drilling through the center, and replaceable centers including a Threaded Center, 60° Center, Miniature Extension Center, Hollow Cup Center and Stepped Cone. Can be used on all NOVA lathes and all lathes with a 2MT Tailstock. It’s perfect for both heavy and delicate work, and handles both hard and soft woods easily. Made to last, with a tough triple bearing system and precision machined from solid 1045K machine steel for long life and precise fits. The Threaded Center comes with 3 functions for custom wooden support pieces, a miniature internal cone function for small turnings and an internal support piece for small bowls. The 60° Center is ideal for medium to hard woods and general purpose spindle work. The Miniature Extension Center is used to support thin work for small delicate turnings. The diameter of this stem is 1/4″ so can double as a 1/4″ pen mandrel. 2 of these centers could be used for each 1/2 of the pen mandrel (available for additional purchase). The Hollow Cup Center is perfect for soft wood support. Comes with its own demountable point with the center point removed hollow boring up to 5/6″ can be done. The stepped Cone is good for fast and convenient mounting of work.